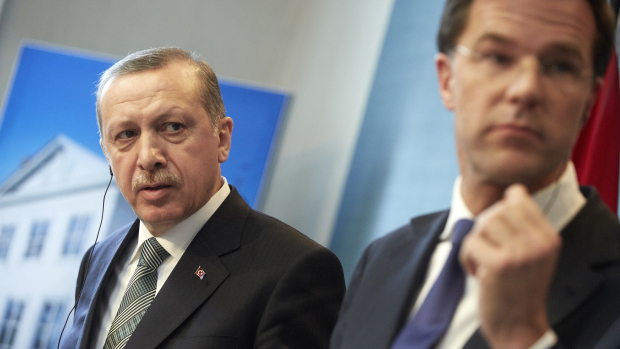 A History Lesson for President Erdogan…. Thanks to everyone who came out this past weekend for the PITN conference. It was great to see you all! L.A.
With all due respect to President Erdogan, he really needs to have a history lesson. First on the agenda, before we even get into the ridiculous piece of propaganda that he’s spewing comparing the Gaza retaliation by Israel to what Hitler did in WWII, we need to see what the Turks did in WWI. We need to sit Mr. Erdogan down and show him the pictures, let him read the accounts of the forced marched which systematically killed hundreds of thousands of men, woman, and children. We need to remind the president that as of this post Turkey and the Turkish government has never apologized for the atrocities that they committed in the genocide of the Armenian Christian population. It is estimated that one and a half million Armenians perished between 1915 and 1923. 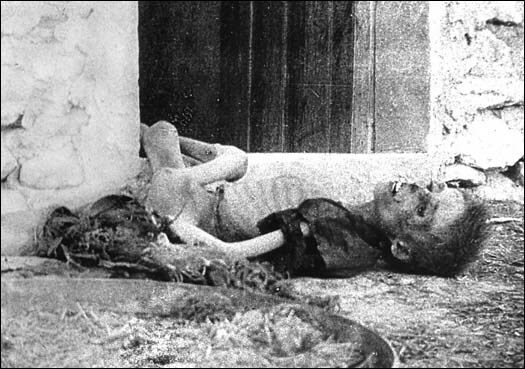 The picture to the left shows a boy who died of starvation during the genocide. So Mr. Erdogan, your statement about what Israel is supposedly doing to those living in Gaza pales in comparison to what your people did only decades ago. Now you are telling us, in a piece of propaganda that would make Goebbels proud, that the Jews have surpassed what the Nazis did to them. Let’s walk through it together. Here’s a sample of some of the highlights that the Nazi’s committed! How many cold-blooded executions has Israel been charged with? Answer: ZERO. How many people has ISIL slaughtered since they began their advance into Iraq? Thousands. Of course you don’t mention the atrocities of what ISIL is doing, you only point the finger at Israel. Notice, Mr. Erdogan, the bodies of men and women in the pit below the man who is about to be shot. Please, show me one picture of the Israeli’s doing this to anyone? You can’t, and that’s the problem with your argument, it is nothing but a straw man argument, which falls of its own weight, when anyone with even a modicum of historical knowledge address your propaganda. However, your propaganda is being picked up by papers and web-sites and posted around the world and many people will actually believe it. Here is a list of what happened to the Jews under Hitler. They systematically harassed the Jews, made it impossible for them to earn a living, sent them to ghettos, seized their possessions, enslaved them and killed them. Every single Jewish Holocaust story is different, and it differs from every country. Here’s a small list of what Nazis did to Jews: Before the Mass-Murders Jews were prohibited to walk into many stores, restaurants, etc.Jews had to be identified with a Star of David. (Danish Jews, however, did not have to wear the Star) and had to have a J on their passports, etc.Jews had to give up jewelry, food, etc.Jews had reduced rations on their cards. 1. In Germany Jews were persecuted with growing intensity from April 1933 onwards. 2. 1933: Most Jews were banned from working in the public sector, from higher education and from working in the media. 3. 1935: The Nuremberg Laws in effect deprived German Jews of citizenship. 4. 1938: Jews banned completely from the professions. 5. The Night of Broken Glass (9-10 November 1938) – Organized, large scale violence against Jews on 9-10 November (and longer in many parts of Germany). About 30,000 Jews were sent to concentration camps and 2,000 of these were dead within six weeks. 6. 1939: Jews forbidden to own businesses. Jews forced to live in designated apartment blocks marked with a huge J over all entrances. When World War 2 broke out in September, further restrictions were imposed on Jews. For example, they were not allowed to own pets or radios and had to stay at home from 9pm till 6am. 7. September 1939 onwards: Invasion of Poland and later other European countries greatly increased the number of Jews under German control. Ghettos (sealed off Jewish districts) established in Poland. 8. 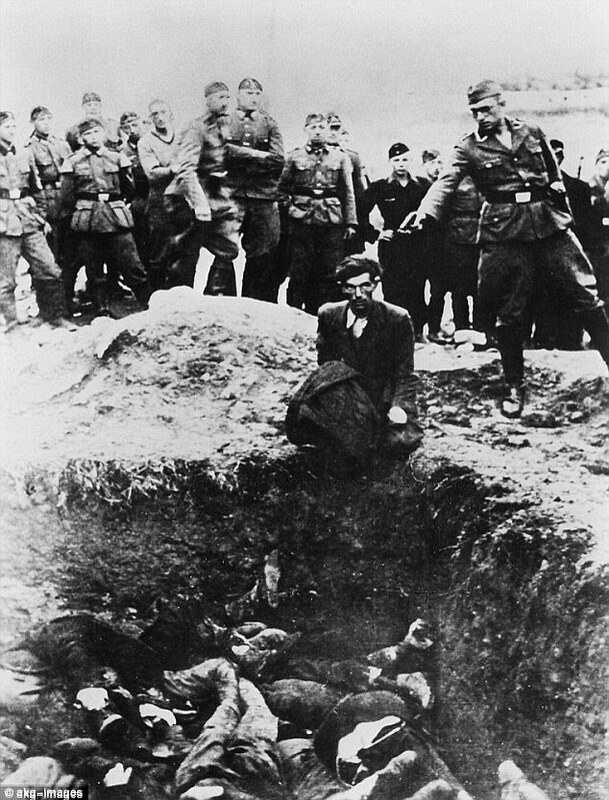 1941: Following the Nazi invasion of the Soviet Union (June), mobile killing units (SD-Einsatzgruppen) went into action behind German lines, slaughtering the Jews (from 25 June 1941 on). September – Jews forbidden to leave Germany and German controlled territory and ordered to wear a yellow Star of David. October – first deportations from Berlin and other German cities to ‘the East’. In practice, this meant that they were taken to ‘killing fields’ in Latvia and Belarus. Some were dumped in ghettos in Poland. 9. 1941: 8 December – routine mass gassings start at Chelmno. Start of the ‘Final Solution’. 10. 1942: Wannsee Conference (20 January) establishes full co-ordination between the various branches of the German state in carrying out the Holocaust. 11. 1942, March onwards: Further extermination camps come into operation: Auschwitz II (Birkenau), Belzec, Sobibor, Treblinka, with Majdanek as a kind of ‘back-up’ for use when killing facilities at the other camps had insufficient capacity! Holocaust lasts till 1945. 12. July 1944 on: First major camp, Majdanek, liberated by Allied forces.Please also see the related questions. I closing todays post. Israel is defending herself against those who would seek to destroy her. HAMAS has declared numerous times that it will not recognize Israel. in 2006 Israel gave back the GAZA strip to the Palestinians and what did they get in return, rocket fire, and acts of terrorism. In all wars there are innocent victims. However when HAMAS puts its rockets in schools, hospitals and houses and uses these places as a launching pad for them, what is Israel supposed to do. History will show that Israel has every right to defend herself. Trying to tell us that the Jews have surpassed Hitler just won’t work her in the US to fair-minded people. This is our first show where we interviewed author Bill Salus. Bills new book, about the ancient prophecies concerning ELAM, is a cutting edge read that will leave you with a new understanding of what the prophet Jeremiah penned thousands of years ago. Bill brings all of his Biblical erudition to this interview! You won’t want to miss it! Nuclear Showdown + Psalm 83 at the whole retail prices and then do a $15.00 discount with the America DVD. Plus a free years subscription to L. A. Marzulli’s Digital News Magazine with articles and commentary by noted authors. A $18.00 Value yours free! TOTAL Price for the Package Nuclear Showdown + Psalm 83 + America DVD + News Magazine = $68.99! BUT WITH THIS SPECIAL INTRODUCTORY OFFER YOU GET ALL OF THIS FOR ONLY $34.99! WATCHERS 8 – Cloak of Secrecy! Watcher’s 7! Screening in Southern California – Saturday – Feb. 1st. 7:30 pm – Just Cause Motion Capture Stage – 4130 Del Rey Ave. Marina Del Rey! May 5-15: Peru tour with L. A. Marzulli & Brein Foerster! To book L. A. Marzulli please email him at la@lamarzulli.net L. A. Marzulli shares the platform with a variety of speakers with many different world views. Marzulli does not endorse anyones world view unless specifically noted.